When I acquired the new (to me) trail bike back in the middle of May, I left the Trek 1000 road bike with the bicycle guy in the hopes that he could sell it on consignment. My expectations were low. The bicycle guy, by the way, is a great young man named Hernán. 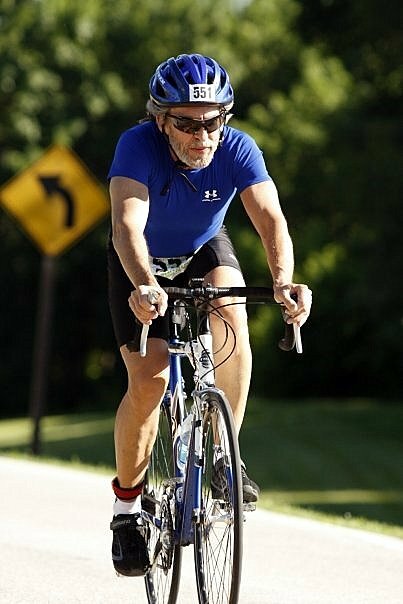 This is the Trek 1000 back in Iowa in 2008. I found of picture of it. It was purchased new. A lot of bicycle for a few dollars. I was quite happy with that machine on Iowa blacktop. Down the hill on Refugio, a right and left, and then one is on San Pedro. Hernán's bicycle shop is there on the right in the middle of the block, closed during afternoon siesta time when this photo was taken. Last weekend Hernán brought me one-half the proceeds from the sale of the Trek 1000. Today, I went down to his shop and picked up the rest of the proceeds. Somebody actually purchased that bike here in this part of Mexico. Here we are today. Hernán is happy with his commission, and I am perfectly happy with my net proceeds. . .and my trail bike. . .and the net net profit I made on the whole deal.